There are many points of view when it comes to perfectionism. So, let’s start with a definition to make sure we are all on the same page. A perfectionist is someone who is unyielding in their pursuit of unrealistically high standards. It is not about getting 100%, being perfect. Because, really, who can achieve that, right? For an entrepreneur who has successfully built multiple businesses, setting a goal of building a 6 figure business in one year may be reasonable. But, if you have never had your own business, that may be an unrealistically high standard. Likewise, for someone who runs regularly preparing for a 5k in a month may be doable. But, if you don’t run at all, getting ready to run a 5k in a month may be, yes, an unrealistically high standard. From the outside you may be wondering why someone would strive for such unrealistic goals. The simple answer is, if they are a perfectionist, they don’t think the goals are unrealistic. And, if you are a perfectionist, you may be wondering how this came to be for you. While there could be many reasons, your pursuit of unrealistically high standards may be related to the actual or perceived failures you have experienced over your lifetime in part because of your ADHD. Now you just want to get it right! And because of the temptation to make up for lost time, it actually may be hard for you not to exhibit perfectionist tendencies in certain contexts in your life. Others will only value me if I am perfect. I only value myself if I am perfect. Where do you see this thinking in your life? You may have heard the claim that perfectionism can be helpful because it encourages you to set high standards. There is, of course, nothing wrong with setting the bar high and attempting to excel, as long as you also have the flexibility to alter your plans and goals along the way, if they seem unrealistic. But perfectionism does not allow you to be flexible. In this black and white way of thinking either you reach the high standard you set with the exact plan your created or you are a failure. Sounds like a lot of pressure! So, it is never helpful. Rather, perfectionism is an unyielding task master that prevents you from making creative decisions about how you want to live your life in the various contexts you find yourself. And you may find you are a perfectionist in some contexts and not in others. For example, you might not put much thought into what you wear. But you won’t play in an adult soccer league unless you can play like you did in high school. What context(s) in your life do you think you may have unrealistically high standards? have the requisite content skills or knowledge. 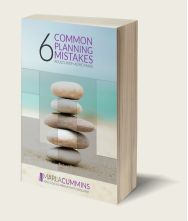 know how to create a realistic plan that fits with your other responsibilities. be able to execute on a plan in part because of your ADHD symptoms. have the time and energy. Of course, there might be many other variables that could get in your way. Option A – I’ll just have to muscle through this. I don’t really have a choice now. Option B – Well, I could fess up that I can’t really do it. Option C – I can’t deal with this now. I’ll think about it later… Right now there is other stuff I have to do! Option D – I guess I could get some help. Option E – There has to be another option, right?! If you are a perfectionist or recovering perfectionist, your immediate reaction may be to reject Option B and D. You can’t lower the bar and let them know you can’t do something on your own, right? And, if you are too overwhelmed with everything else on your plate, you may not be in a place to come up with other ideas. So, that may nix Option E.
I bet you know where this is going, and you are right. You are left with putting on your super hero cape, Option A, or avoiding the task by procrastinating, Option C.
And, obviously, neither of these choices will help you get the task you committed to or any other task done effectively. In fact, perfectionism is one of the chief roadblocks to being productive. Nothing good comes from making mistakes. I must do things right the first time. I must do everything well, not just the things I know I’m good at. If I can’t do something perfectly then there is no point even trying. I rarely give myself credit when I do well because there’s always something more I could do. Sometimes I am so concerned about getting one task done perfectly that I don’t have time to complete the rest of my work. If you have answered True or Somewhat True to most of the above questions, then perfectionism might be something you want to work on. As long as you are rooted in your perfectionism you will behave in ways that can get in the way of achieving what you want. take pleasure in an activity, like playing in an adult soccer leagues, even if you no longer play like you did in high school. work toward a goal, like creating a 6 figure business in a realistic time frame given your previous business experience. enjoy an endeavor you might not excel at, such as running a 5k. approach something as an experiment without attachment to the outcome. Consider the contexts where you have unrealistically high standards. What would be possible for you, if you aligned them with your personal capacity? You know the cost of being a perfectionist. Are you interested in dropping your mask? If you are, stay tuned for the next post where I will look at strategies to help you begin to clear this roadblock out of your life. 1Fursland, A., Raykos, B. and Steele, A. (2009). Perfectionism in Perspective. Perth, Western Australia: Centre for Clinical Interventions.